← Friday Fun Stuff … it’s like show and tell! Raise your right hand if you like leftovers … mine is up! Raise your left hand if you try to remember to use leftovers before they look like a science experiment … both hands are up! Now for the real test … have you ever used leftovers for dessert? Does this look like leftovers or dessert? This is what happens when you make cupcakes with pink buttercream icing for your niece’s birthday on Saturday … then make cupcakes with peanut butter icing for your friend’s birthday on Sunday … have both flavors leftover in the fridge and your hubby (a.k.a. The Peanut Butter Man) knows about them. 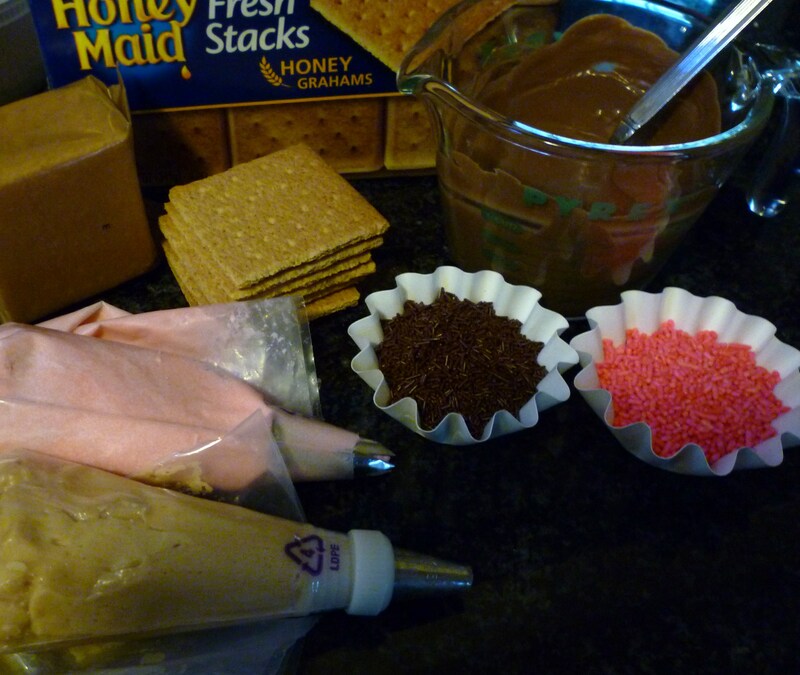 By the way, if you can see chocolate on the corners … it is a boo boo … I used too small of a bowl for dipping. This is not a “new idea” … my grandma would put icing on graham crackers for me when I was little … I did the same for my boys too. 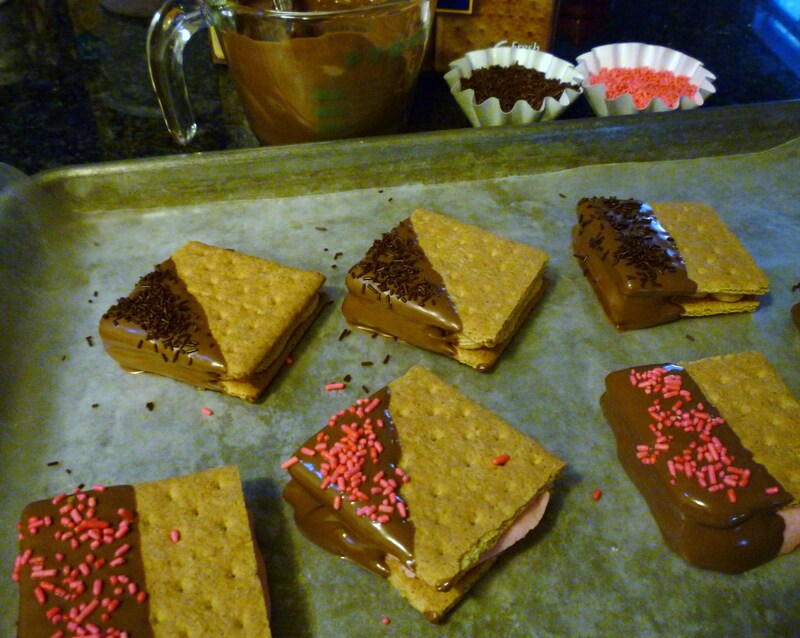 However, we never dipped them in chocolate … that just seemed a little overboard … for some reason, it’s OK today! How about ice cream in the center? My goodness I don’t want my icecream going bad- better use that up…LOL Great idea and so easy. I’m loving that! You are sooooo right … better use that ice cream! Looks like a very tasty treat. I am still working on using up all of my leftovers. Although we often give my baked goods to friends and family. It is such a shame when food goes bad. 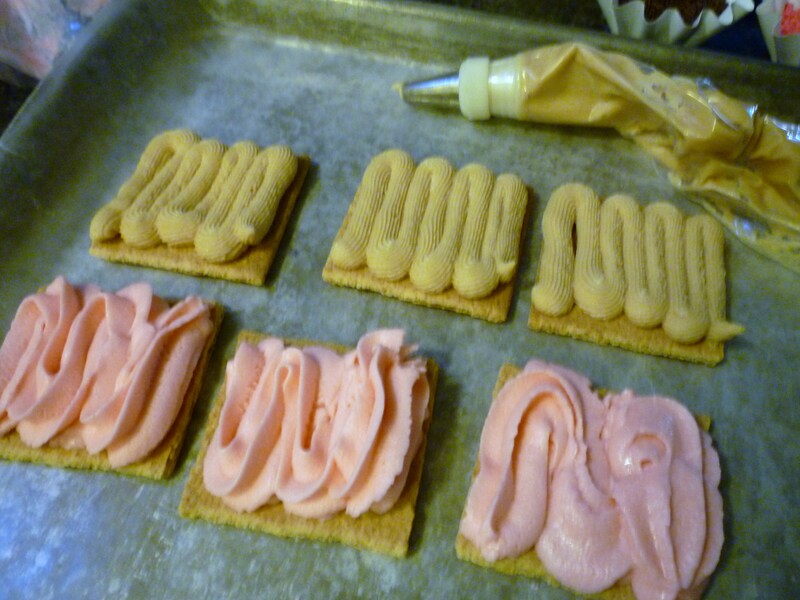 Brenda, I too was raised on frosting spread between graham crackers. 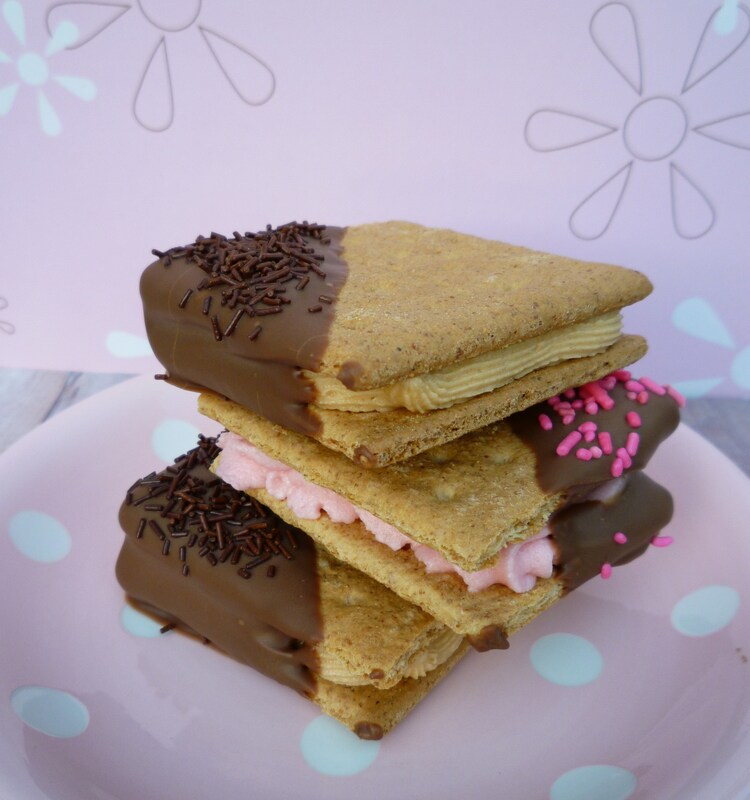 I like your idea of using up the leftover frosting and dipping in chocolate. So many times I have that little bit left and throw it in the freezer, wondering what in the world will I do with it. Now I know! Do you sleep at nite for just lay awake thinking up these great ideas. 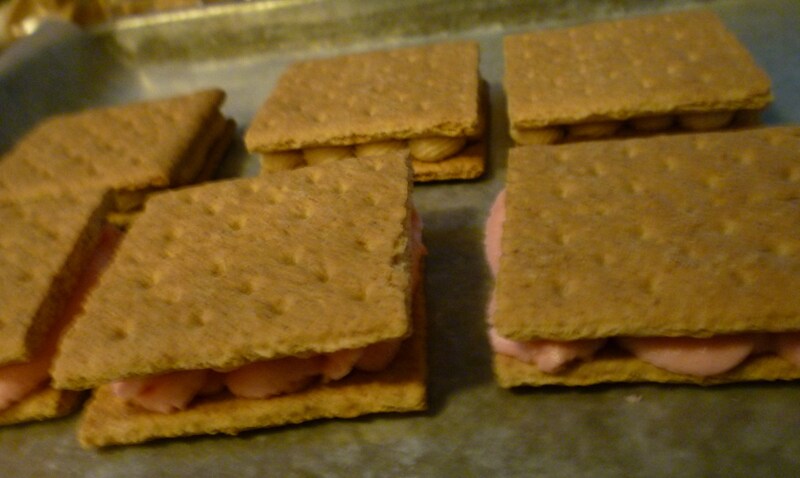 These sound so good, I love graham crackers with almost anything on them. Looks really delicious and pretty easy. Great idea you had! Come on over … but the is frosting is gone … there is probably leftover rice in the fridge!